24karat gold vermeil earrings by Herve Van Der Straeten. 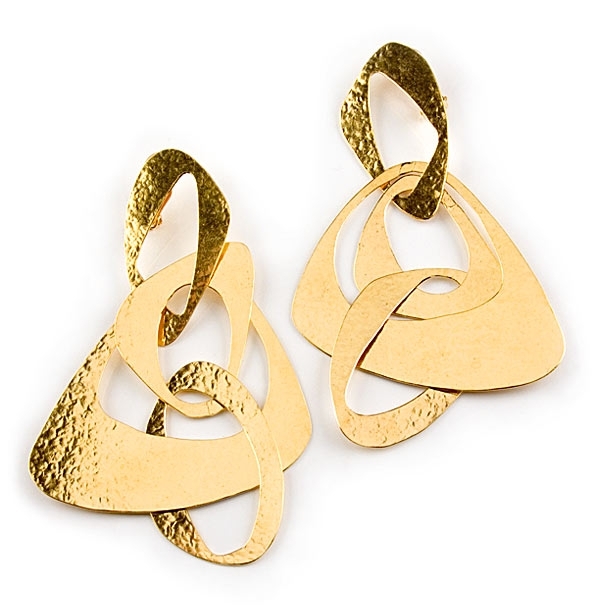 This striking pair of earrings features four intertwined asymmetrical shapes creating a dramatic look. Earrings measure 10.5cm in length and have a clip back. A unique pair of designer earrings that will pizzazz to any outfit. Also makes a perfect gift idea. As seen on Tatler magazine July issue. Width: Top - 2.3cm /0.9" , Bottom: 5.5cm / 2.2 "